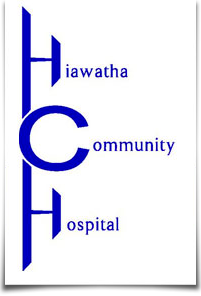 The Hiawatha Community Hospital officially opened May 13, 1951. The cost to build the facility was $222,000. Funds were raised through determination and hard work by the citizens of the community who donated money towards the project. In 1961, with an occupancy rate of 95%, fundraising began to pay for an expansion to the facility. The citizens of the community exceeded the fundraising goal of $91,400 by $12,000. Five patient rooms were added to what was the west end of the south wing of the facility, the Obstetrics Department was moved to the lower level and the elevator was added in 1962. The Solarium, located on the west end of the main level, was constructed from the funds donated in 1966 by the Middlebrook family. In 1968 the north wing, where the patient rooms are currently located was added although the lower level remained unfinished. The east wing, three level addition was added in 1979. A major renovation was completed in 2000 with the south wing of the hospital being dedicated to the outpatient specialty clinic. The lower level of the north wing was finished and became home to the Administration of the hospital. The expansion of the Surgery Center was completed in 2003. In 2011, the addition of the Medical Office Building, which is home to the Business Office, Family Practice Clinic, Outpatient Specialty Clinic, Gift Shop, Cardiac Rehab, Physical Therapy and the MRI was completed. The Hiawatha Community Hospital has prospered in the past due to the excellent planning by community members and the many donations that are made to the hospital by those who understand its importance to the community. Continued support allows the hospital to provide the highest quality of health care available. Community commitment to the Hiawatha Community Hospital guarantees a great legacy for all members of this community now and in the future! Donors may support the hospital's mission by contributing cash, real estate, stocks, or life insurance policies. An unrestricted gift will allow the hospital to use the funds where needed, however, a specific program area may be specified. You may choose to make a gift in honor or in memory of a family member or friend. The most popular gift is through a Will. The Hiawatha Community Hospital Foundation is a 501C(3) organization created to ensure the financial integrity of the hospital. With the approval through the Internal Revenue Services, gifts made in support of the hospital are tax deductible. For more information, please contact John Broberg, Interim CEO at 785-742-2131 or at jbroberg@hch-ks.org.